As a kid I visited rural Georgia the way some kids went to summer camp. On our vacation I returned to those memories and spent quality time with my grandma. After the excitement in Jacksonville it was time to travel to a sedate, rural, tiny town in southeast Georgia. The first stage was a trip to see my grandmother and spend a few quality days with her in the small town of Nahunta. I’ve had ancestors in or around Nahunta for centuries. My great grandfather, James M. Ammons, had a farm in southeast Georgia not too far from where grandma lives now. The family was farming folk through and through. 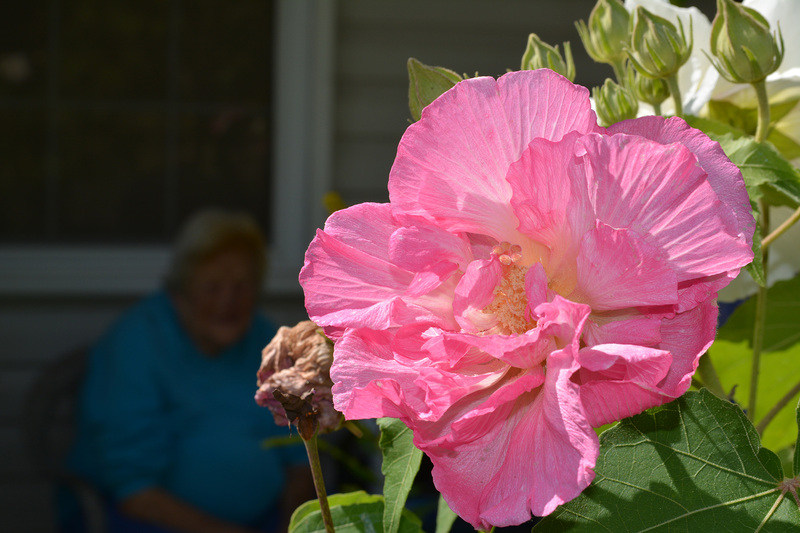 Grandma recalled the one time her family had tried to grow a cash crop: cotton. They grew it, picked it, bagged, and stored it waiting for the buyer to come around. She said it was hard backbreaking work and that she hated every minute of it. Unfortunately for the family there was a leak in the shed and the cotton got moldy before they were able to sell it, ruining its value. They never tried a cash crop again. From her stories it sounds like my great grandfather was an opportunist farmer, he didn’t have any singular crop he grew, he just farmed to support his family and coincidentally make some money. My grandma, Betty, was the youngest of eleven kids and today she is the last one living. I only have clear memories of two of her siblings: Aunt Hazel and Uncle R.L. Uncle R.L. was the closest thing I had to a grandfather for much of my life, but it wasn’t an especially close relationship. Aunt Hazel was nice enough but was not someone I bonded with when seeing her, she had a tiny chihuahua dog named Sugar that she took everywhere. Before Katie and I moved to Seattle we would have grandma ride the train down to Orlando three or four times a year so she could stay with us for a week or so. I loved spending time with her and just having her around. Knowing I wouldn’t be able to do that was a serious factor for me to consider when deciding whether to move across the country or not. Grandma was born on Oct. 6, 1930. She was the salutatorian of her 36-member graduating class. She claims she was robbed of being the valedictorian due to school politics. She grew up not far from where she lives now, though she spent a number of years living in Tampa, FL before returning to Georgia in the early nineties. 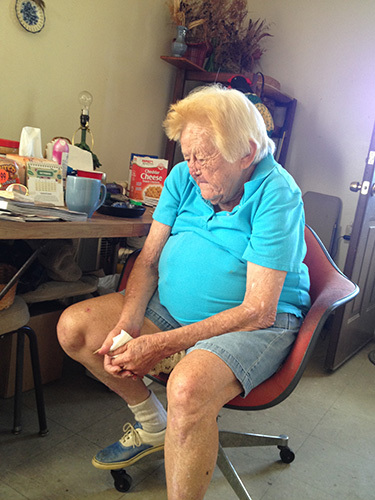 This year she turned 83 and still lives on her own and drives herself where she needs to go. She loves gardening and is, aside from Katie, the most important woman in my life. One of my fondest memories growing up was spending weeks with her during my summer breaks. The parents would drive up and she would drive down, we’d meet up at I’d be handed off at a central-ish spot to back home with her. I’d spend maybe a week or two with her, seeing my cousins and extended family. Everyone in town calls her “Ant Betty” (misspelled for pronunciation.) In many ways I think of those times as a sort of summer camp for one. I spent a lot of time outside. I shot air rifles, rode dirt bikes, played games. While also watching some TV (lots of The Price is Right) and reading books. All while spending time with my grandma. Since I’ve grown up, I’ve driven through Nahunta a number of times while going from Orlando to Atlanta. I would stop to pick up grandma on the way but I hadn’t spent any real time there in almost twenty years. Nahunta, in my memory, is a speck of a town and while the town has grown some – it is still quite small. According to the 2000 census, it had less than 1,000 people living in the town. It is the small town you might see on television. The economy is low with many jobs coming from lumber, the egg plant (putting eggs into cartons) or farming. I remember grandma telling us about when they got their second stop light in the county, it was a big deal. Now though the town has grown. Now there is a Dairy Queen within walking distance of grandma’s house. That isn’t to say it has seen a lot of growth, just some growth. The library is in the same building as it was in my childhood. The houses remain unchanged and mostly trailers. The roads are mostly unchanged, some got paved, some remain dirt. As it turns out it hadn’t changed too much, just bits and pieces. When I told grandma that we were coming to visit she was excited. She suggested we could stay at the local hotel: the Knox Hotel, which as it turns out is the only hotel in town. The next nearest town with a hotel was Waynesville, an only slightly larger metropolitan area, and yes – the use of metropolitan here is completely ironic and sarcastic. The Knox Hotel doesn’t have a website. It isn’t staffed 24 hours a day. In fact they don’t take credit card. When I called to see about booking our room they took my name and the dates of our stay and said they’d see us there. The woman said it all in a syrupy southern drawl that tugged at heartstrings as I hadn’t heard a voice like that in a while. The goal of our visit was to spend quality time with grandma. I hadn’t seen her in over a year, and it had been two years for Katie. A few months ago we had had a health scare with grandma such that I went so far as to notify people at work that I may have to make an emergency trip to see her. Thankfully that all seems to have passed and she is still able to putter in her garden, but it struck home the urgency with us needing to go see her. We had been expecting her to attend a family wedding which Katie and I were missing due to our time in Ireland, up to that point the plan was to make the visit just something Katie and I were going to do. When we discovered she wasn’t going to the wedding, the plans changed to include time with dad, Carol, and potentially a visit from my baby sister, Charlotte. Even with the changes to the plan, I had one main goal and that was to spend time with grandma to talk about our family history, and look through her family photos and genealogy records. The south is I believe, in many people’s minds, a cartoon of itself. Certainly you can find Confederate flag trucker hats on beer bellies. Of course you will find low income living. Racism, while much less than it once was, still exists. But not every southerner is Honey Boo Boo. Far from it. You’ll find southern hospitality is as strong as ever, neighbors go out of their way to help each other as well as strangers. While grandma lives on her own, there is a small army of family, friends, and neighbors, who check in on her and help her out. From doing laundry, to running errands, to cooking meals, to just checking in on her – she is surrounded by good people who care about her. We met some of these people, a young family of five from West Virginia. The father and mother were my age if perhaps a year or two older, and they had three high energy bouncing kids. The mother regularly helps grandma with chores and errands and she enjoys redecorating grandma’s apartment by moving photos around and rearranging things. One of the things grandma wanted for her birthday was to go to her favorite store: the plant store. She wanted to buy snapdragons to plant in her garden. So we made quite a production of going, cramming all five of us in the car. In my mind I was imaging a Home Depot garden section with rows and rows of plants. I think all of us were thinking of something along those lines. What we found though was a feed store which happened to have roughly ten feet by three feet of various potted plants for sale outside. Sure enough they had snapdragons, so we bought up all they had. Two sets of six plants. They didn’t have very many and she was said about it, but she said she would come back next week after they restocked. After that, Katie and I loaded up the car and took a quick trip just the two of us. 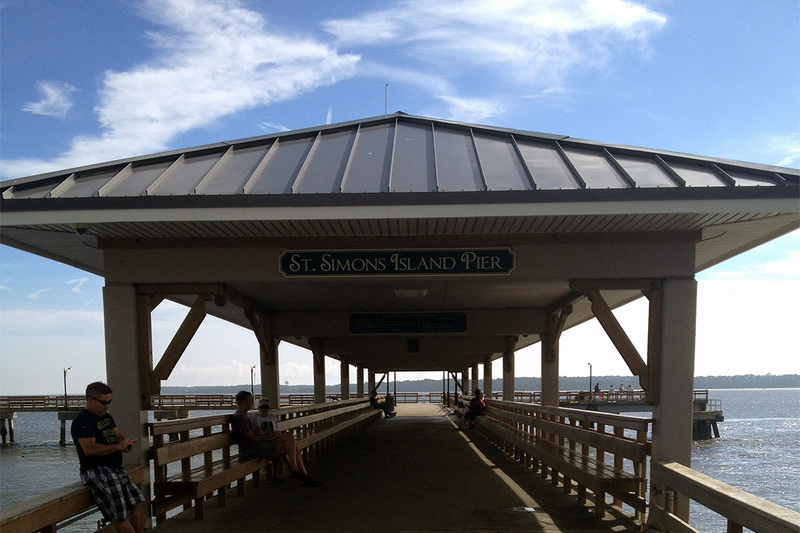 We headed to an island off the coast of Georgia called St. Simon’s island. The island holds a strong place in my memory of those weeks I spent with grandma. 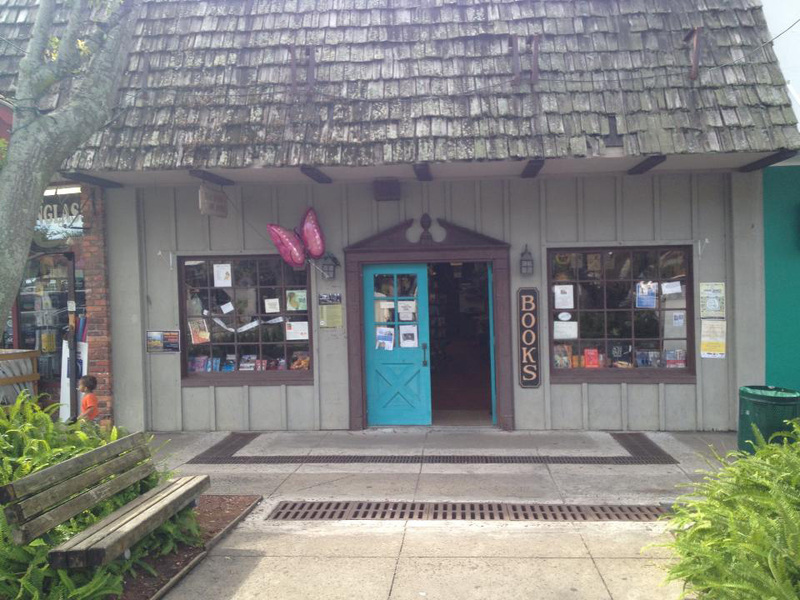 We would go out there for primarily one purpose: a used bookstore. The island itself caters to vacationers and retirees, though it too had grown up some since I had last been there and looked like it had grown to be slightly more suburban. The drive was maybe 45 minutes from grandma’s. As we drove onto the actual island we drove right by an Ace Hardware with a garden section. “Let’s stop and see if they have any more snapdragons.” Sure enough they had a much larger stock of snapdragons so we picked up six more sets of six and paid the hefty $13. With those safely situated in the trunk we finally reached St. Simon’s main “square.” As we walked up it I was looking around, remembering so much and looking for the bookstore. In the annals of my mind, on the long list of places I have bought books, this store is enshrined near the top. To discover that it was still in business was a real thrill. Unquestionably the store’s glory days, whenever they were, were behind it. The shelves were a bit more bare than I recall. But I was surprised (I don’t know why) to also discover that it was the same woman, sitting in the same chair, running the store. We chatted briefly with her about how I remembered coming to the store so long ago and Katie found a book about the history of the English language which I bought for a very fair $4. After the store we walked down to the pier, just to see it again. It isn’t anything amazing, it’s just a pier – but it holds a place in my childhood memories. After seeing that the pier remained intact we walked around a bit more, got some frozen yogurt, while I recalled stories from our visits there. There is an old lighthouse on the island and I can remember going up it once as a kid, but it didn’t hold any lure to me now. We drove back and delivered the flowers to grandma. She was surprised and excited to have more flowers to plant. Other than that random trip, the majority of our time was spent with grandma. She took us to eat at every restaurant in Nahunta (except Dairy Queen, we wanted authentic southern food, not chain.) We went with her to visit the Ammons family cemetery, which is in the neighboring town of Waynesville. It’s not a big cemetery but in that acre of land there are dozens of relatives buried together. 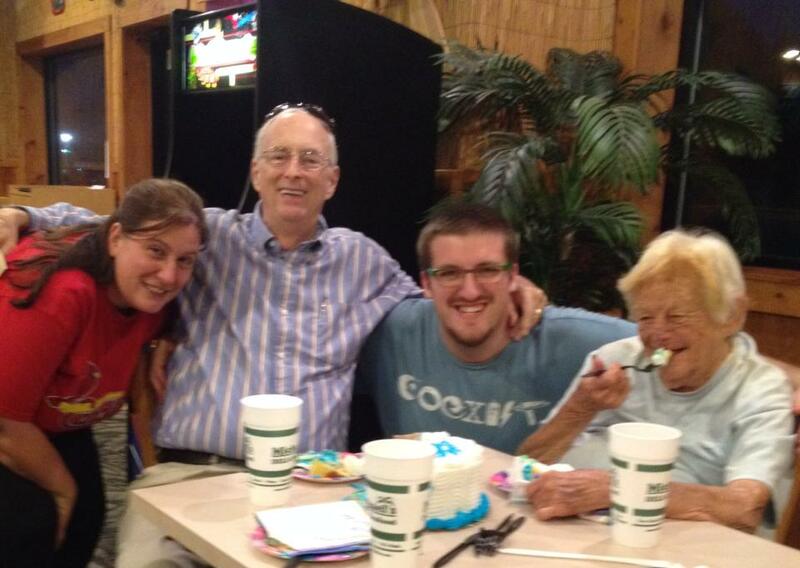 I think though my favorite memory from the visit will be the shared birthday celebration with my dad and grandma. Their birthdays are two days (and a few years) apart, so we went to a local restaurant and brought our own cake and ice cream. The restaurant staff were completely accomodating, going so far as to put the ice cream in the freezer and giving us spoons to scoop it with. We had dinner and then did presents and had our cake and ice cream. We sang happy birthday and had a wonderful time just being together. Grandma turned 83 and dad turned 72. I also spent time this trip making recordings as talked with grandma. I recorded a few hours with her, just letting her talk or sometimes prompting her with questions. She talked about history, our family, her life, and more. As an example, here’s a brief clip from a recording I made where she talks about her father having a warrant out against him. Eventually though it was time to move on so, on the morning of October 5, we packed our bags and loaded into dad’s car and stopped for one more visit with grandma. Dad and Carol then drove us back to Jacksonville and dropped us off with hugs and kisses, sending us on to the next leg of our adventure: Ireland. Next time: a surprise airport visit with a friend as we’re on our way to Ireland.